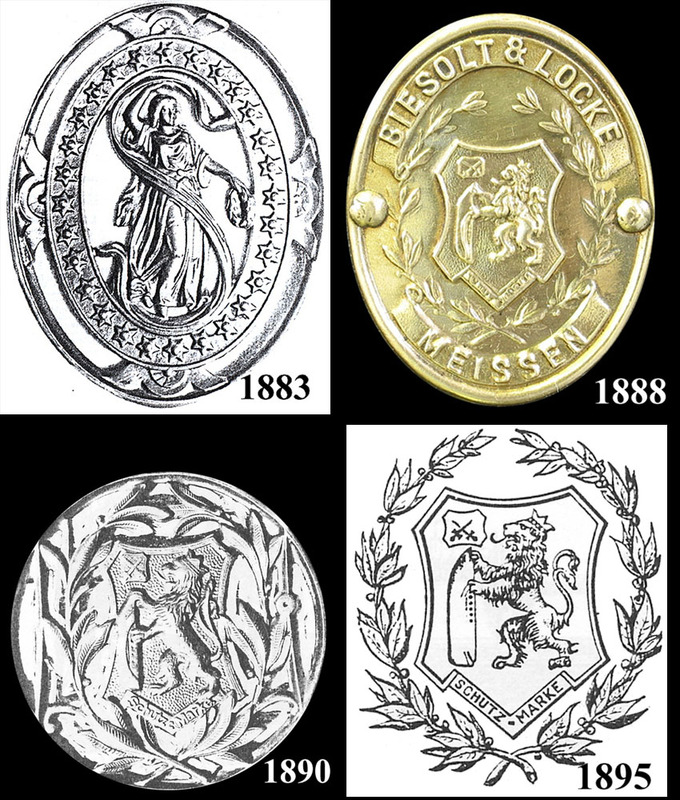 Biesolt & Locke was a small German company, founded by Maximilian Biesolt Reinhold and Hermann Locke in Meissen in 1869. 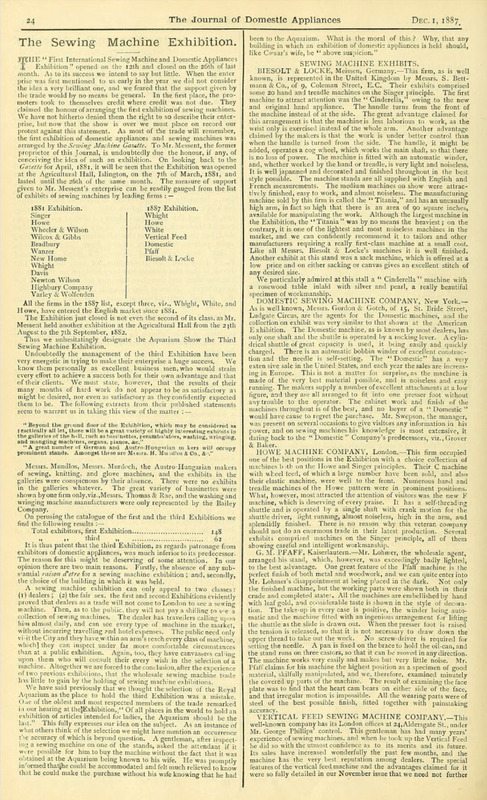 In May 1905, they filed for patent infringement in Manila court, in the Philippines, against a company that was selling Biesolt & Locke sewing machines rebadged as ‘Corona.’ Biesolt & Locke’s machines had been supplied by a company in Holland. 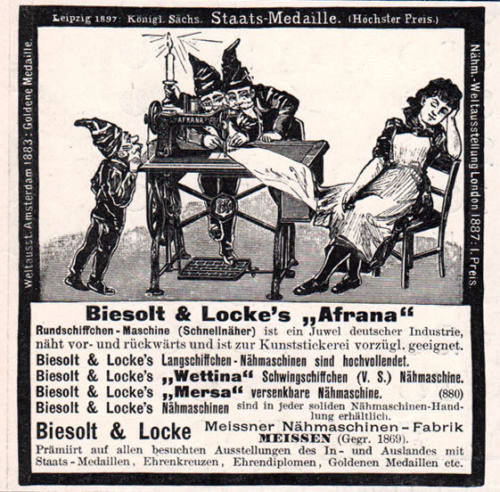 The Philippine company had tried to register Biesolt & Locke’s sewing machine trade mark as their own in the Philippine office of the Bureau of Patents, Copyrights & Trade Marks. 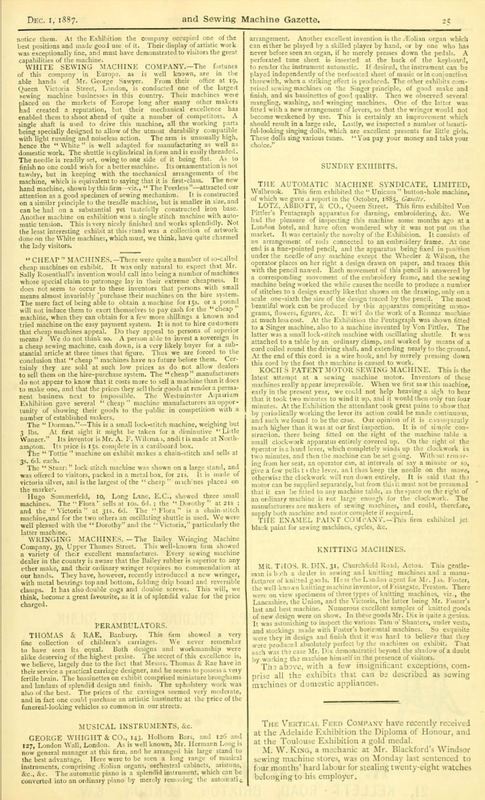 The court notes reveal that Biesolt & Locke used the names ‘B&L Long Shuttle’ and ‘Wettina’ prior to 1886, but registered them in that year, in Germany, France, Russia and Denmark. The ‘B&L Vibrating Shuttle’ machine is reported to have been introduced prior to 1901. As a result of the recent Spanish-American War, the Philippines, at this time, was a colony of the United States (hence retained court records). They introduced a new model, the Afrana, in the 1890s, which then became the company’s main product. The company went out of business in 1914, after a factory fire, and Seidel & Naumann used the Biesolt & Locke name until around 1925. 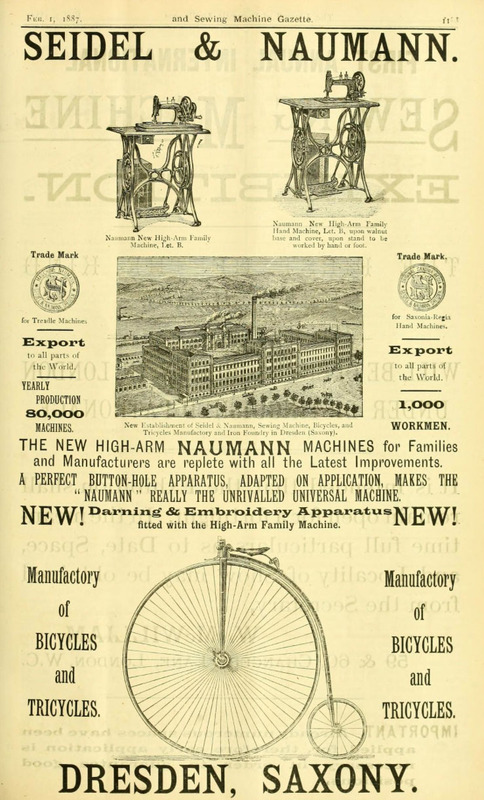 Why did Bettmann pick Biesolt & Locke sewing machines for reselling when he started his new company? The larger sewing machine companies would have had a good back-up service, but if their sewing machines were already well-known in England, presumably he would not have found it so easy to compete on price? The above court report suggests that Biesolt & Locke’s business was conducted by agents in various countries. 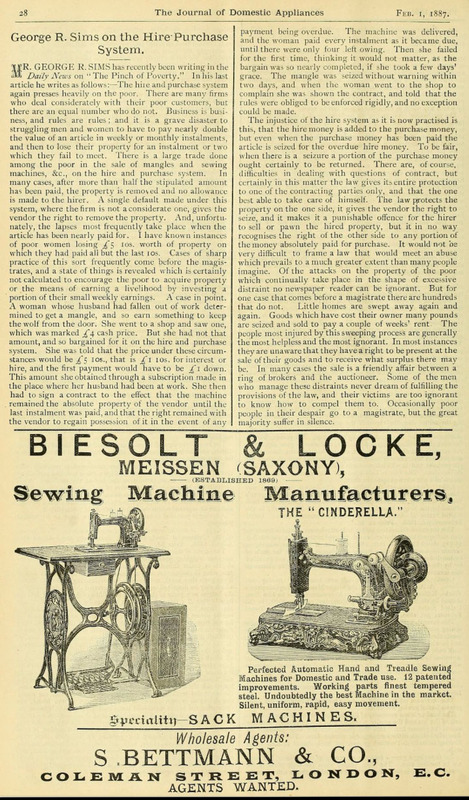 It’s not known if Bettmann rebadged the Biesolt & Locke sewing machines he sold, or added a Bettmann & Co transfer or plaque alongside the Biesolt & Locke name. But I spotted a c1902 Biesolt & Locke treadle machine in Australia, imported by Ward Bros and badged as the ‘ANA’ – which actually stand for ‘All Native Australian.’ So rebadging of Biesolt & Locke sewing machines seems to have been standard practise, perhaps part of the attraction for a new company such as Bettmann & Co to import and resell Biesolt & Locke’s products, in order to build up their inventory without the considerable bother and investment required for manufacturing their own products. 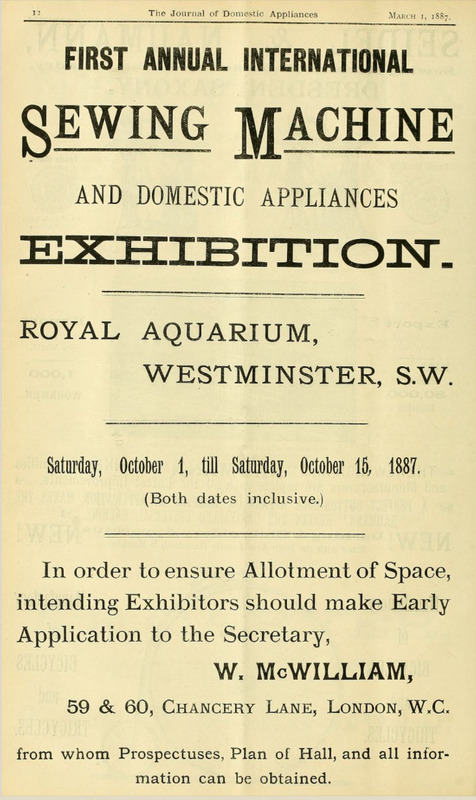 William McWilliams, proprietor of Sewing Machine and Cycle News, held an exhibition in 1887 at the Royal Aquarium in London. 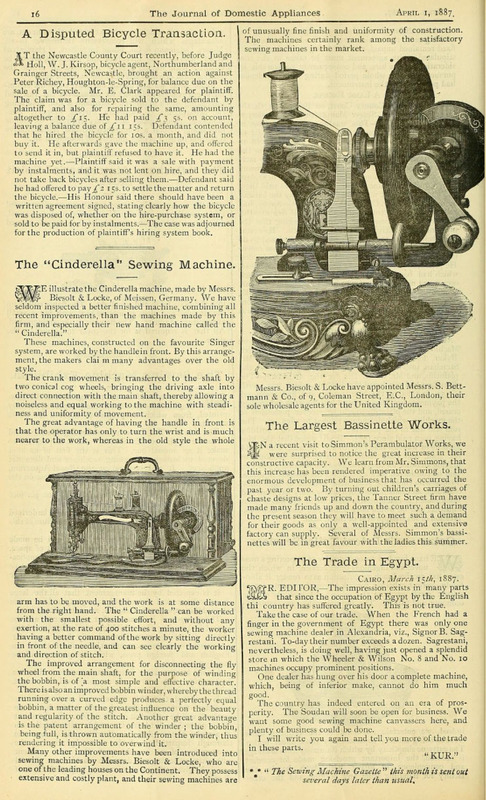 The rival Sewing machine Gazette reported that among the exhibitors were Biesolt & Locke from Meissen, Germany, who showed some 20 Singer look-a-like machines, and an interesting-sounding Cinderella where the handle was fitted to the front of the machine rather than at the side. 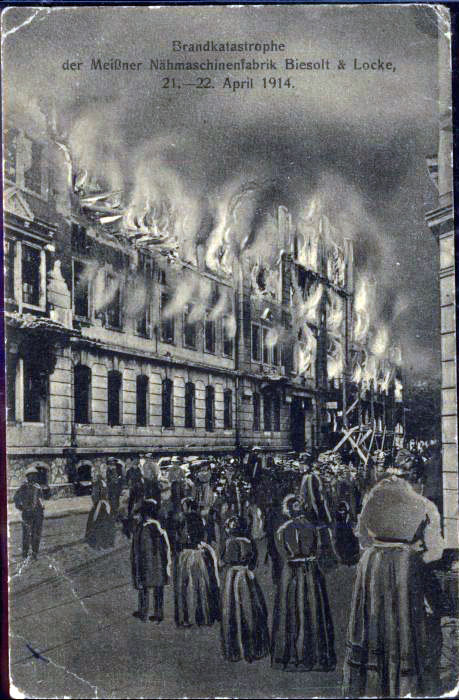 After the fire, the Biesolt & Locke name was used by Siedel & Naumann of Dresden.